If you know me, you know I have a slight obsession with apples — apple cider, apple crisp, cider donuts, cider slushies, anything apple. In fact, I almost named my photography business “Apple Photography,” until my husband pointed out that there was, ahem, already a fairly successful company called Apple. 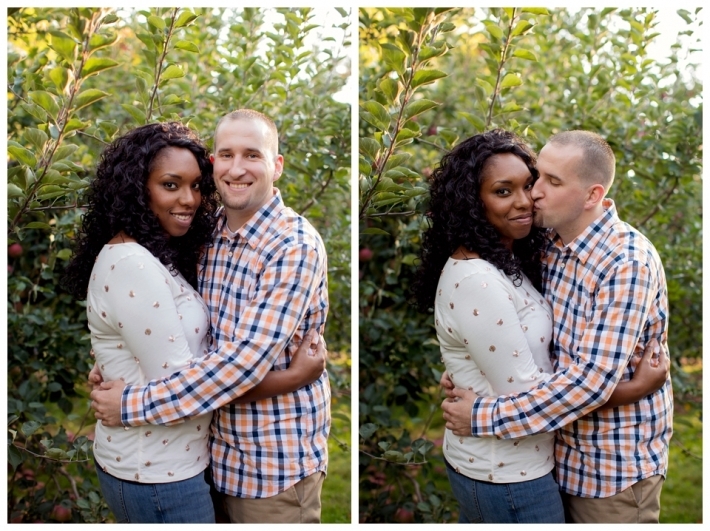 So I was psyched when Racquel and Chris suggested an apple-picking engagement session. Yes please! 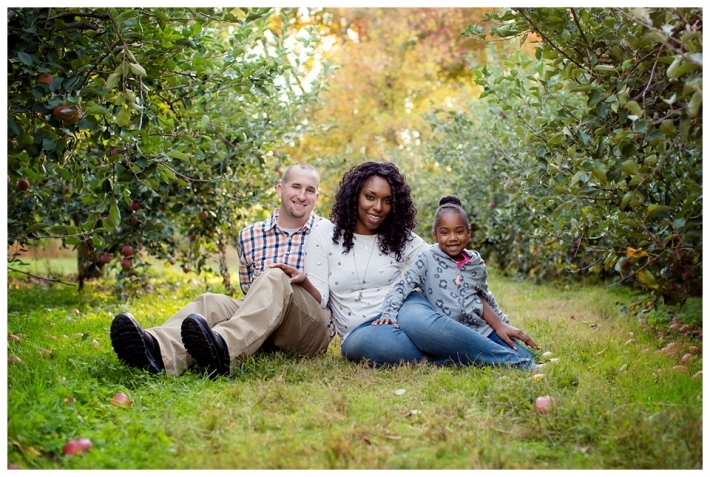 Not only did we get amazing fall weather, but Racquel and Chris are a wedding photographer’s dream — relaxed, easygoing, and obviously crazy about each other. Racquel’s daughter Sydney jumped in for a few photos (sometimes literally!) and kept us laughing the whole time. And I drank a half-gallon of fresh apple cider on the way home (sorry not sorry). Here are a few favorites. Can’t wait for the wedding….only three months to go!